Samsung Galaxy S8 Active Manual and Tutorials - You can read Samsung Galaxy S8 Active Manual here and get tutorials to set up and use this phone. The Galaxy S8 Active User Guide pdf can be download below in these post. Samsung Galaxy S8 Active device official by Samsung. 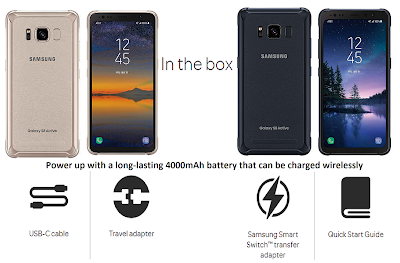 When you buy this phone you will get device, travel adapter and usb cable. Military design Galaxy S8 Active with IP68 rating and a military-grade body, the Galaxy S8 Active is ready for wherever the day takes you. Samsung bring the best camera in this phone. the Galaxy S8 Active now faster Qualcomm® Snapdragon™ 835 4 x 2.35GHz + 4 x 1.9GHz, sharper, smarter. Water-resistant and dustproof tests submersion up to 1.5 meter for up to 30 minutes. From the pool to the hiking trail, go confidently with a water-, shock-, and dust-resistant device housed in a durable metal frame but not shockproof. 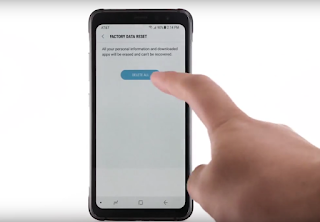 You can buy a Galaxy S8 Active price $ 849.99, save $150 instantly & save an additional $150 when you trade in an eligible device in AT&T with pre-order and free shipping on all orders and in the Samsung store for next all country but service ability may vary by country. The Galaxy S8 Active screen is shatter-resistant up to five feet on a flat surface. The shatter-resistant Super AMOLED display is engineered for ultimate protection. Watch the latest blockbuster releases on a screen that delivers the most amount of high-quality picture in the least amount of space. Water-resistant up to 5 feet of water for up to 30 minutes; rinse residue/ dry after wet. This device passed military specification (MIL-STD-810G) testing against a subset of 21 specific environmental conditions, including temperature, dust, shock/vibration, and low pressure/high altitude. Device may not perform as shown in all extreme conditions. 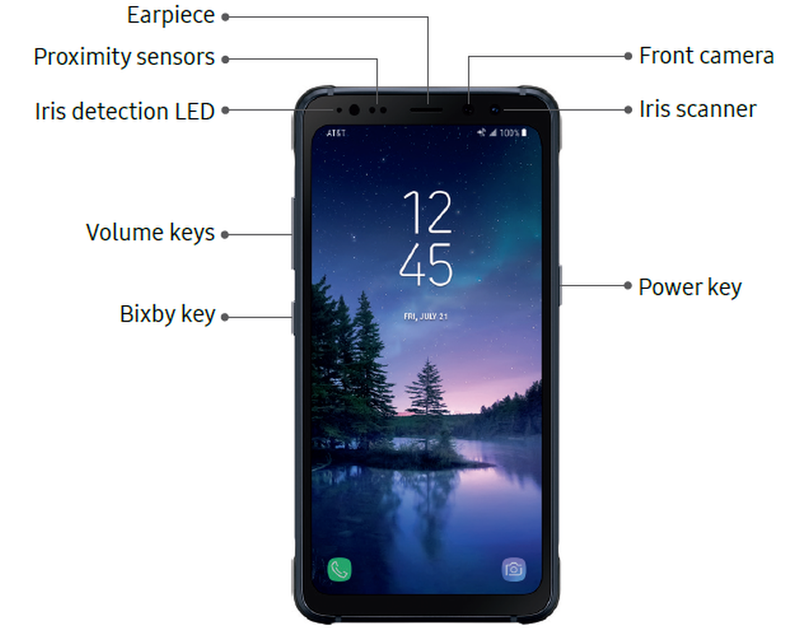 Download Samsung Galaxy S8 Active user manual pdf to learn the complete set up from beginners to advance and mastering this phone.